Let it be known that Paul Mitchell might as well be synonymous with the phrase “hair and body moisturizer”. In this age, the Paul Mitchell Tea Tree Hair and Body Moisturizer is everyone’s go-to product for hair and skin care. If there is a hall of fame for all skincare products then Paul Mitchell would definitely be on that list. In this article, we will know what the rave is all about. John Paul Mitchell Systems (JPMS) is undeniably one of the most popular brands of hair care. JPMS have just about anything. They are known to be the producers of the highest quality professional hair care product and went down in history as part of the pioneering beauty companies to strongly disagree with animal testing. Also, the company has several charities that they support and several other corporate social responsibility programs. These are focused on making the world a better place for people, animals, and the environment. Let us learn more about the company’s vision, mission, and background. JPMS is very particular about product control. There are some retailers nowadays that do not take care of the product when they resell it. Diversion is a concept when beauty and hair products from professional salon companies are being sold by unauthorized product retailers. Most of the time, the products are either old, stolen or tinkered with resulting in unsatisfied customers not knowing that those products did not come from the brands themselves. Thus, JPMS encourages the consumers to buy from authorized retailers only. They have their very own product development laboratory called Product Innovation Center located in Santa Clarita, California. This center is where the magic happens- from product concept to completion. With their state-of-the-art facilities and talented staff, their products are definitely a representation of how their company values quality. It is also where their products are being tested on humans, not animals. Another vision of JPMS is to produce the best talents when it comes professional hair care. That is why they created the Paul Mitchell Schools, founded in the year 2000, with more than 100 locations nationwide. It has become one of the leading institutions to pave a career in the cosmetology industry. They offer lessons on hair coloring, hair styling, manicuring and more. Their excellence comes from the hands-on teaching of their brilliant staff and healthy learning environment. The Paul Mitchell Schools promise to “help you realize your dream”, in cosmetology that is. Do you ever wonder who the person is behind the name Paul Mitchell in the very popular Paul Mitchell tea tree hair and body moisturizer? Continue reading to find out. Cyril Thomson Mitchell, popularly known as Paul Mitchell, was one of the founders of John Paul Mitchell Systems. He is a Scottish-American hairstylist who died on April 21, 1989, at the age of 53 due to pancreatic cancer. Being a hairstylist really runs in the family because his mother, Jenny, was the first hairdresser of their small town Carnwath in Scotland. Paul trained to be a silversmith before following his mother’s footsteps. When their family moved to London in 1939, Paul, at the young age of sixteen, enrolled at the Morris School of Hairdressing. This is where he mastered his skills. While at school, he won a lot of competitions and garnered recognitions under his belt. During the peak of his professional career, his styles were featured in various magazines and worn by the rich and famous. He was the creator of the art of hair sculpting which freed women from using hair rollers and took the industry by storm through his hair products that featured ginger. At present, his legendary work is still being celebrated. After many years, he was able to create his own salon called Superhair but sold when he moved to Hawaii. He was buried there when he died. His son, Angus, carried on the legacy of his father by continuing the John Paul Mitchell Systems and Schools. At the same time, he created a name for himself by establishing is own salon in Beverly Hills called AngusM. There is no doubt that Paul Mitchell will always be remembered in the field of cosmetology. With his creativity and incomparable talent, he made a difference and lasting impression on the hearts of many. The Paul Mitchell tea tree hair and body moisturizer is a holy grail in skin and body care routine of many all over the world. It is so popular because of its effectivity and convenience. A moisturizer so versatile that it can be used for both the skin and the hair. 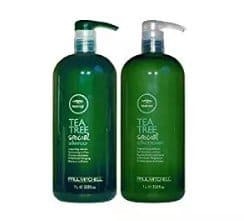 You don’t have to buy two separate products anymore when you buy the Paul Mitchell tea tree hair and body moisturizer. 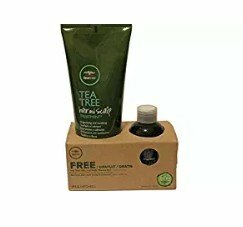 The Paul Mitchell Tea Tree Hair and Body Moisturizer’s packaging is a sturdy dark green opaque plastic bottle. You cannot see the product inside. There are various options for its cap- you can go for the one with a white transparent flip cap or the pump which is, to be honest, more convenient for everyday use. The bottle is not heavy which is perfect if you want to take it with you on an out-of-town trip. Overall, the bottle represents what the product stands for which is organic and environment-friendly. The product itself, when you have not seen it yet, is light green in color. It is a gel-like substance which is liquid in nature and very smooth. The smell of tea tree dominates which is sort of minty with a hint of light lavender. 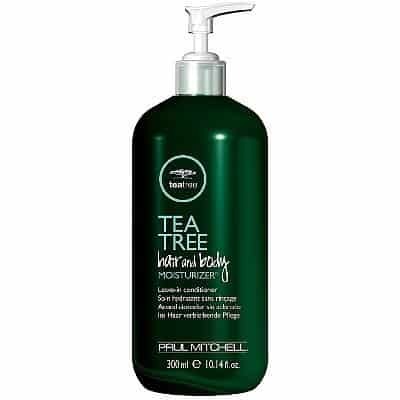 If you are someone who wants to improve your locks and have smooth skin, then the Paul Mitchell tea tree hair and body moisturizer is definitely for you. With its rejuvenating formula, the Paul Mitchell tea tree hair and body moisturizer can calm your sensitive skin and satiate your thirsty hair. Simply put- it is hydrating from head to toe. It does have on disadvantage though, it doesn’t last that long in the skin. But what is that one con compared to all those pros, right? 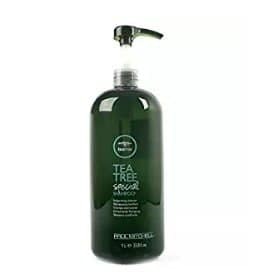 The brand is not only known for its Paul Mitchell tea tree hair and body moisturizer but also for other tea tree-based products. They are listed down here. If you have been convinced enough to buy, click on the links. 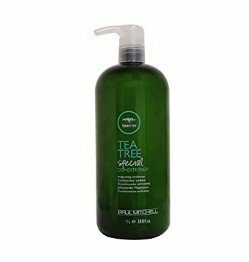 To take this product review into a full circle, let us hear from some of the many satisfied customers of Paul Mitchell tea tree hair and body moisturizer. These verbatim reviews were taken from Amazon and Influenster. I don’t know about you but this product is really worth the hype. Always keep in mind to purchase from legit stores and resellers. Better safe than sorry!